It is a fact. Aljunied Market and Food Centre has hardly been given much the attention by the foodies, maybe due to the location or lack of publicity. Besides Ng Soon Kee Fish and Duck Porridge that catches some reviews, there are a few good stalls seem to be neglected by the public. Shanghai Noodle Lor Mee is obviously one of them. 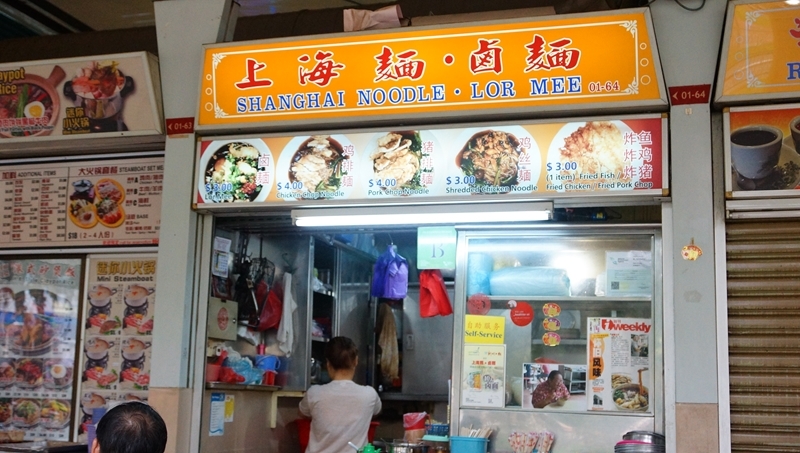 The stall specialises in lor Mee with different toppings, ranging from chicken chop, pork chop to shredded chicken. The Lor Mee is voted one of the best by some local media as well. The lor Mee $3.5 served with half of hard boiled egg, battered fish slices and bean sprouts. We ordered a mixture of noodle and Mee Hoon that will lessen the monotone texture and less cloying. 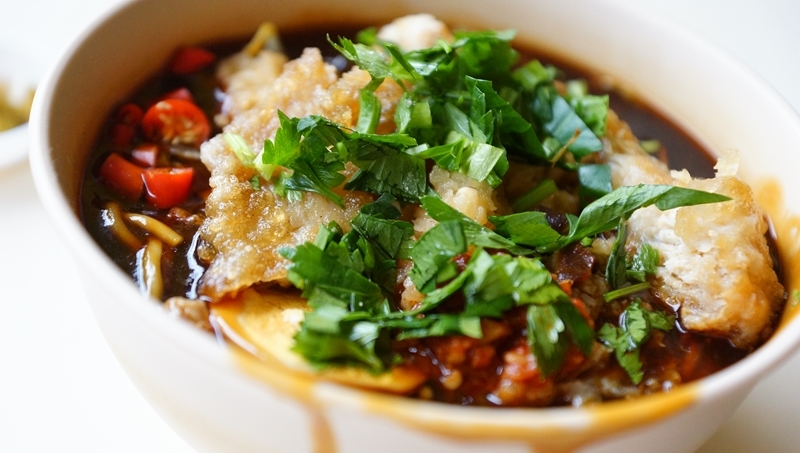 The noodles were cooked with right doneness and texture, thick and rich dark gravy imbued with the needed lor Mee character. However, it was not robust enough overall. In our opinion, The lor can be further refined to inject more dynamic flavour into it to heighten the overall taste. Otherwise, it can only be considered a good lor Mee but possesses a gap to the best. The battered fish slices were acceptable but wouldn’t give a wow effect. 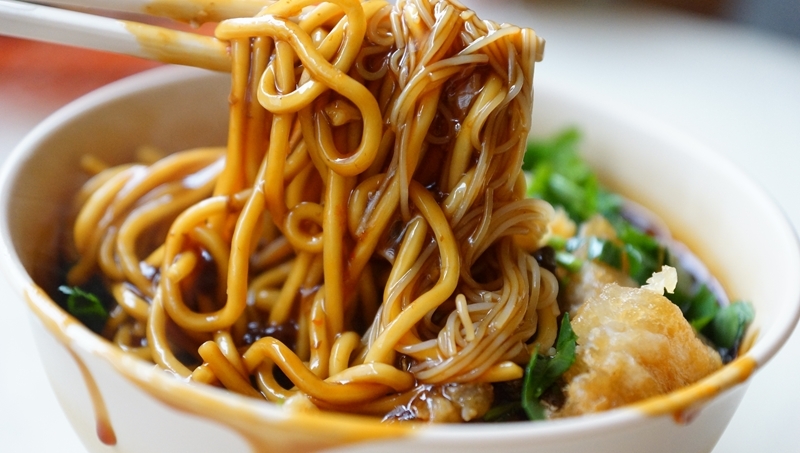 You can definitely enjoy a good bowl of Lor Mee at Shanghai Noodle Lor Mee. However, their lor mee would be more impressive with a bit more work on the gravy.